There's a Micky Finn VIP version of the 'Super Sharp Shooter (Remix)' somewhere out there. The mix only differs slightly in that, instead of "super super shots" appearing all the time, a "micky finn" sample appears. Probably incredibly rare. These are my favorite drum and bass tracks. "So Damn Fresh" has killer vocal samples after the intro that are really good for scratching. 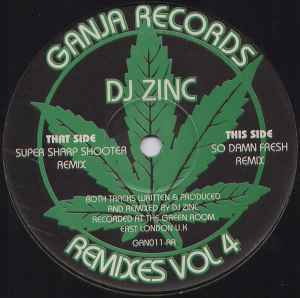 I like this remix of "Super Sharp Shooter" better than the original.